This project aims to make the internationally recognised John Blacking Collection available to researchers by processing the collection to archival standards and to share materials from the collection for use in educational and public sector settings. The bulk of the John Blacking Collection arrived in Perth from Belfast, Ireland in March 1997. Stored in the Music Department for nearly ten years, in late 2006 the collection was packed and moved from Clifton Street to a room in the Callaway Centre’s current home in the Park Avenue Building. In February 2007, the collection was moved into the Callaway Centre Archive’s climate-controlled storage space. 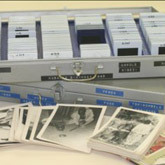 Work began in 2006 on the essential and extensive task of processing the collection using archival standards. 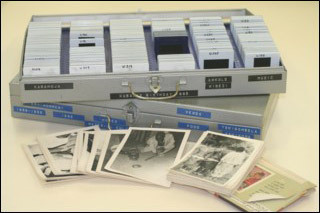 While the material in the Blacking Collection focuses largely on Blacking’s ethnomusicological fieldwork among the Venda people in South Africa in the late 1950s, it also includes fieldwork data from other regions of South Africa, Northern Rhodesia (now Zambia), Uganda, and Ireland. Many of the papers have further significance as a representation of the various professional, academic and civic activities this scholar was engaged in throughout his life. developing an exhibition around an aspect of the collection represented especially in photographic, audio, and video data. an exhibition of photographs and recordings from the Blacking Collection which will open at the Lawrence Wilson Art Gallery in November 2013. Experience the sights and sounds of Africa through the lens of world-renowned ethnomusicologist John Blacking.